Donate chilly if Mars is impaired. You can also donate chilly products. The proper use of chilly makes Mars strong. One can donate dry chilly, powder and pickle. Grind the chilly and mix cow’s ghee. chilly powder is beneficial in bone pain. This also reduces inflammation. One should take medical advice. chilly paste avoids gout problem. The limited quantity of chilly improves blood circulation. The consumption of chili open the close nose. chilly sharpen the mind. Stuff which contains anti-oxidants that increase memory power. One should intake ¼ teaspoon chilly. The more consumption of chili creates stomach problem. The limited quantity of chili gives power and less problem. One should use chilly according to season. The more consumption of chilly creates nose, eyes and stomach problem. chilly contains vitamin C. This gives power to body and mind. This improves blood circulation. chilly is also avoid heart problem. chilly avoids diarrhea. One should eat thick and small chilly. Men who face problem getting child they should avoid having chilly. Those who face more bile problem they should avoid chilly. Do not eat chilly if your get body pain. chilly contains fiber. The more consumption of chilly may create diarrhea. The more consumption of chilly may create injury in intestine. Piles patient should avoid chilly. chilly avoids negative energy. It avoids germs. Wearing chilly in throat gives benefit in unclear atmosphere. The consumption of capsicum sharpen the mind. It gives glow to face. 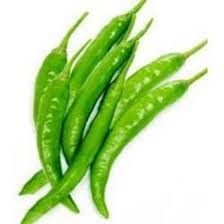 Capsicum is beneficial in diabetes. Eat shiny and fresh capsicum. Keep oily vegetables, fruits in lukewarm water. This gives benefit in gout. chilly is also beneficial for sportsman. It is beneficial to keep black and white chilly where you sit. Keep black or white chilly in bowl. Keep it with you when you go for an important work. Why We Must Wear White Clothes on Friday?